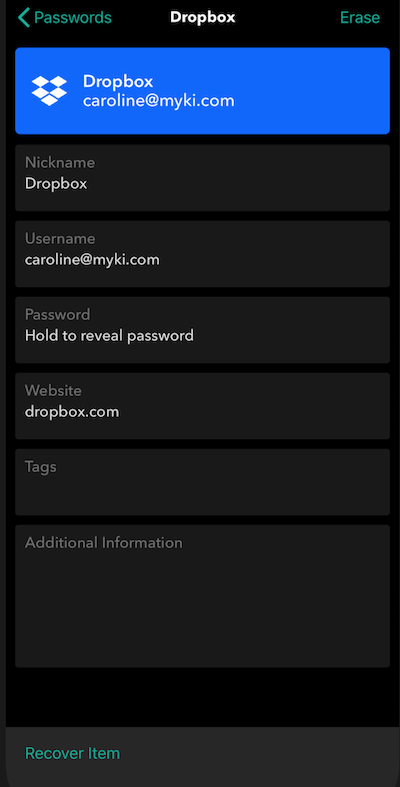 Open your Myki account on your smartphone. Navigate to your "Vault" and Select "Passwords". 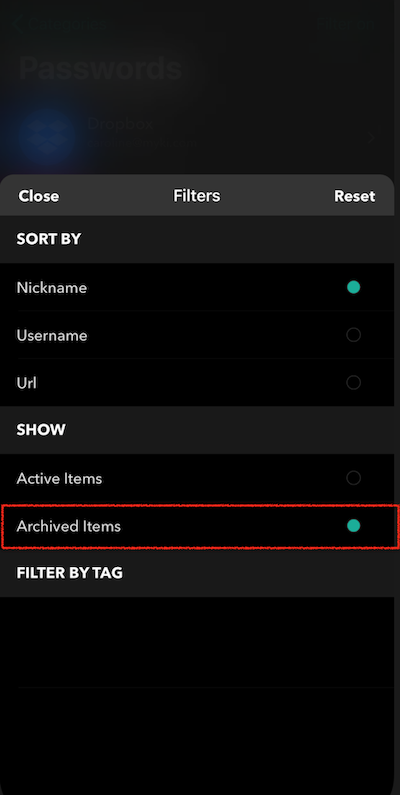 Click on "Filter" (top right of the screen) and Select "Archived Items" to see a list of your previously deleted passwords. Locate the item that you wish to recover and click on "Recover Item".